It's been a while since the labbits put up a cooking post. It's been far too hot in New England to bake and besides, it's salad season in farmland paradise! There's been a lot of arugula salads with strawberries and blueberries, and greens with shredded raw beets, yum yum! 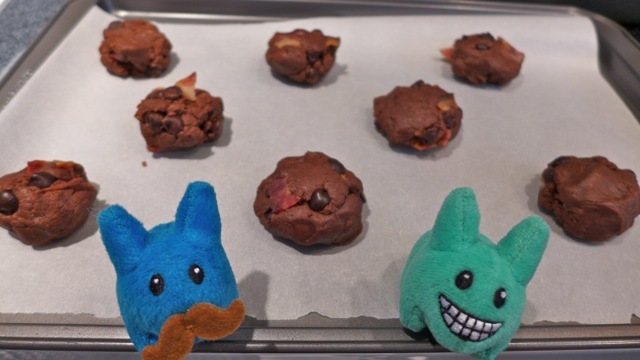 The heat wave ends tonight so there may be some heat in the kitchen as the labbits cook up some summer squash and zucchini burritos. 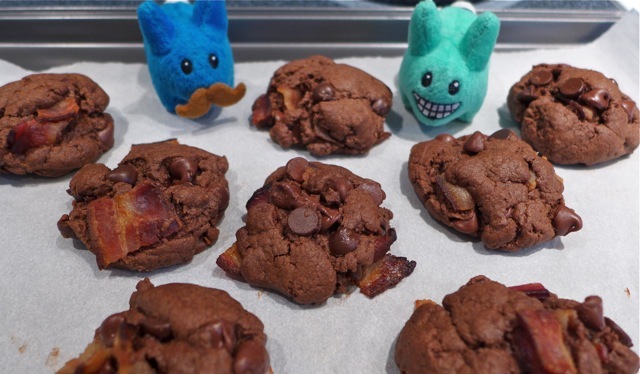 Doddy Blue did his first 70.3 triathlon in the White Mountains of New Hampshire, so he was a labbit who meant business. 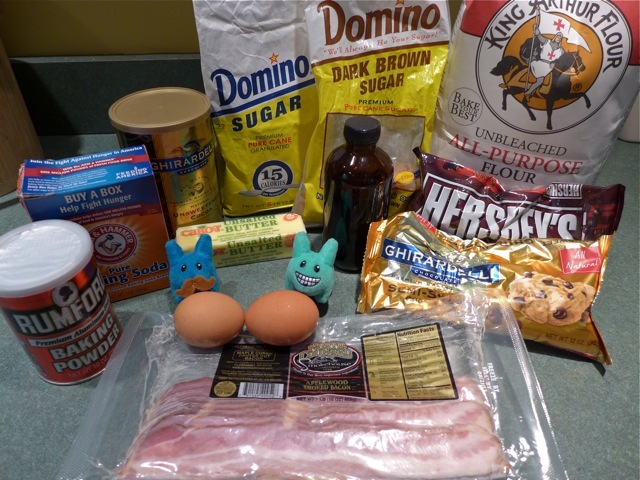 Here's how you make the best cookies ever. Print the recipe here. 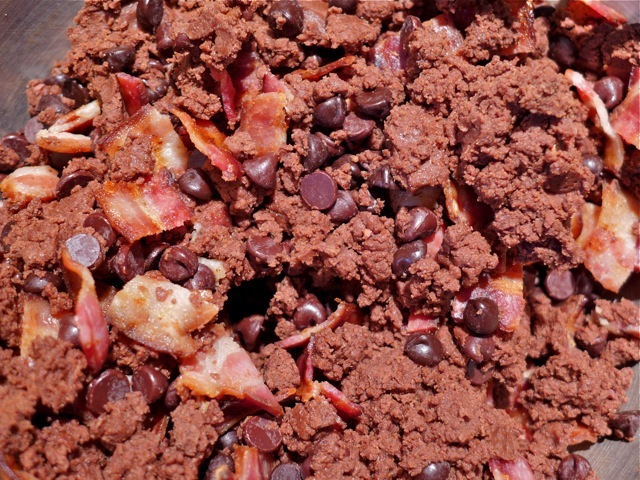 Cook the bacon on the stove until browned; break into bite-size pieces (not crumbles). Reserve 1 1/2 tablespoons of bacon grease and mix in with the butter and sugar. Add the eggs, vanilla and remaining ingredients. Do not over-mix! Form cookies. Bake for 10 to 12 minutes at 350 °F. Allow to cool on a wire rack before storing in an air-tight container. 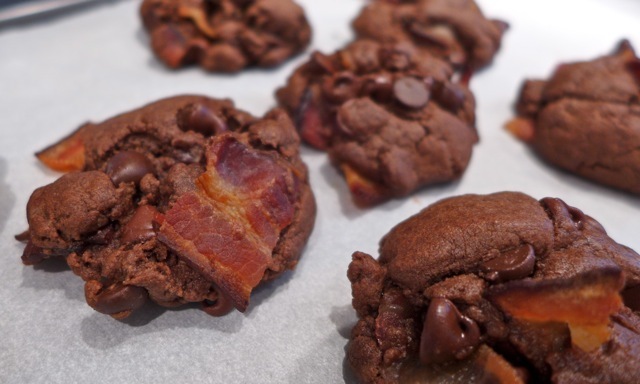 Because these cookies have bacon, store these in the refrigerator for up to one week (if they aren't eaten by then) and microwave on low for 10 seconds to warm them up and get those chips gooey. Enjoy! Yields: About 3 dozen 2" cookies.